This review can be found at The Blog of Sid Love. This was a short, intense story about Rupert, who’s thrown out of his home for kissing another man. 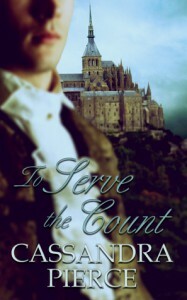 On his journey out of town, he thinks the man he kissed, Devereaux, is up at Castle Blutstark and seeks shelter and work from Count Kaspar, the master of the house. Unknown to Rupert, Castle Blutstark holds much more sinister things than he originally thought. 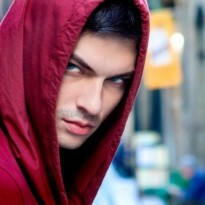 Before he knows it, Rupert is swept up in the spell of Kaspar’s seduction, pleasure and the fact Kaspar is a vampire. Rupert’s feelings towards Kaspar are a mess but will he succumb to Kaspar and all that he offers or will the lies someone is telling him about Kaspar cause Rupert to do something drastic and wrong? When I started reading this, I thought Rupert was very naive and innocent. That opinion didn’t change by the end of the book BUT he shows that he’s at least brave and will stand up for himself and those he loves, which I really liked. Since this story is told solely from Rupert’s POV, we only get snippets of Kaspar. He’s very mysterious and holds a lot of authority over his community but he’s still very puzzling by the end. I will say that when I finished reading, I had a smile on my face because I just found it so cute. There’s not much to the story besides briefly exploring how Rupert struggles with his new found life. What there is, however, is simplistic and easy to read, which was exactly what I needed. The plot for this book is actually quite good. It had a lot of potential and could have been something great but it’s biggest fault is the length. The story is very shallow and doesn’t have a lot of depth to it. It needed to be fleshed out and expanded because, as it is, it feels more like a rough draft. You get a taste of Rupert, Kaspar and all the world holds but you don’t actually go deep enough to connect with it. The conflict and resolution is very quick and while there was a little suspense, it was very brief and went by too fast. The connection between Kaspar and Rupert is more told than shown so that we don’t actually experience any of the developing feelings between the two to justify the reasoning behind Kaspar’s offers. All in all, this was a cute, short story with a lot of potential but the length of the book really hindered the story. I would have loved to explore not just the world and the characters but the developing relationship between Kaspar and Rupert. I will say that I do enjoy this author’s ‘voice’ and I did like the book but it needed way more fleshing out to be a really good read.